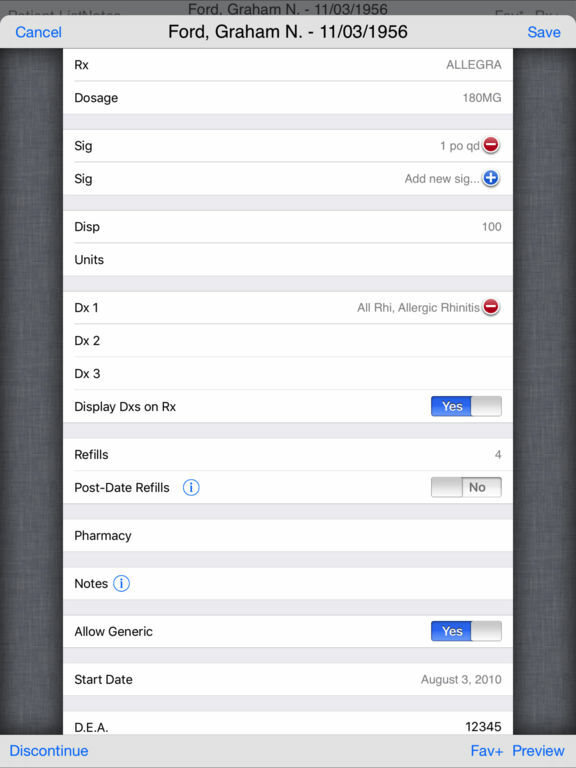 Rx-Writer is e-Prescribing for the iPad… elegant & intuitive. 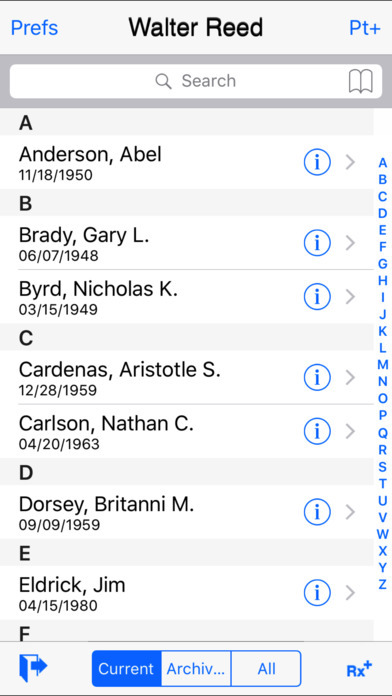 Featured as “New & Noteworthy Medical Application” by Apple. 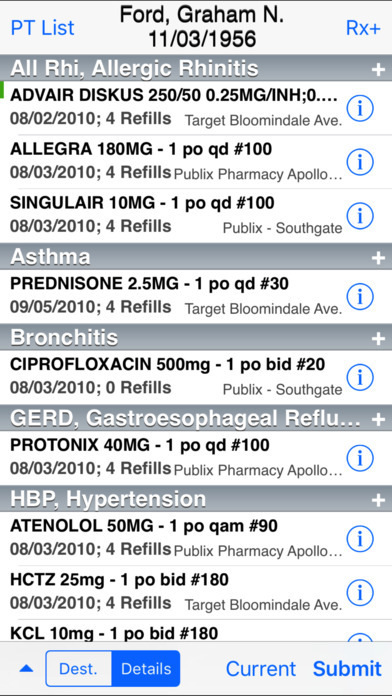 Rx-Writer securely faxes patients’ prescriptions directly from your iPad to pharmacies. 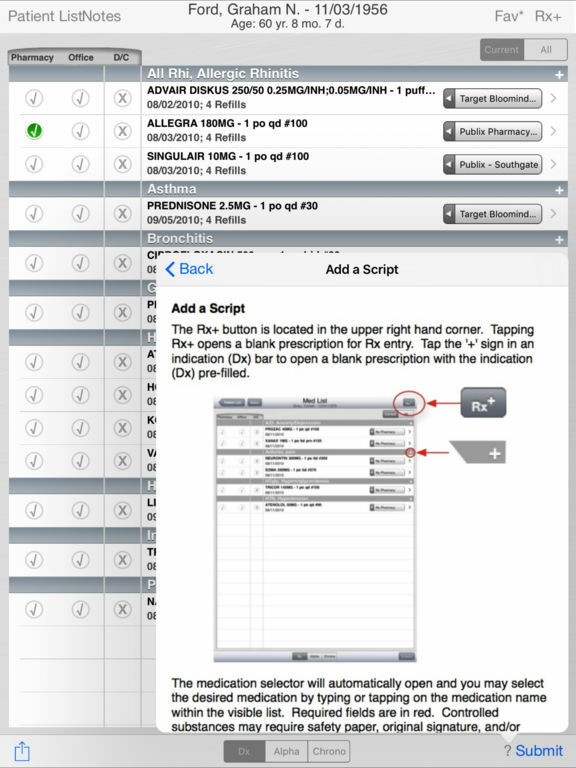 Rx-Writer reduces your time spent writing, tracking, researching, and renewing prescriptions. Renewing 10-12 prescriptions can take 10-30 minutes when written by hand, pausing to gather relevant prescribing information. 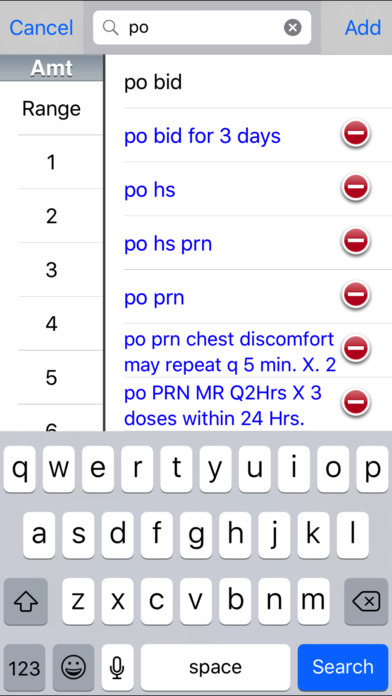 With Rx-Writer this task can be accomplished in less than 5 seconds. 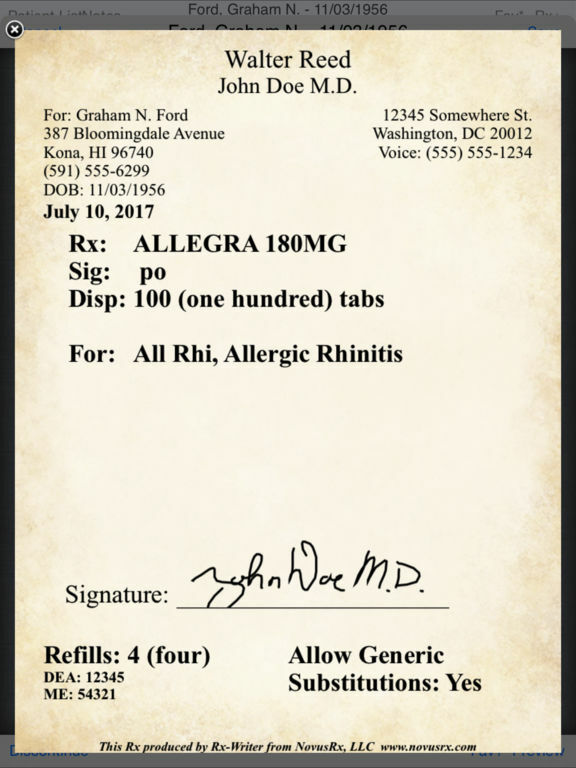 Rx-Writer is available as a FREE version allowing up to 250 patients, includes 30 complimentary fax pages, and free faxing for 60 days. When is the last time you heard a colleague tell you how much he enjoys e-Prescribing?... or how much time he saves e-Prescribing? 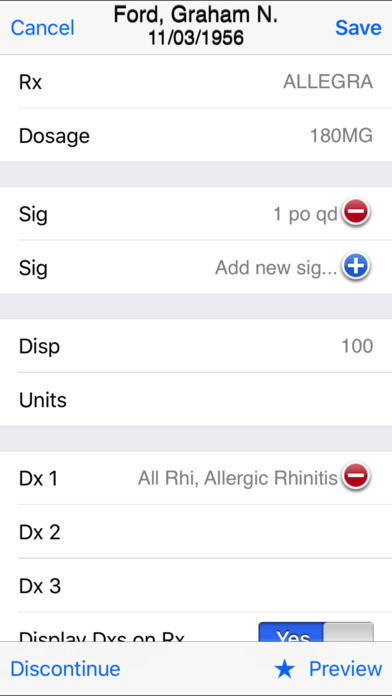 Rx-Writer gives you the option of an elegant electronic prescribing system that will NOT cost a fortune in disrupted workflow. Published studies indicate it takes an average of six months for a medical practice to implement electronic medical records and electronic prescribing. Current e-prescribing solutions are typically avoided because they are expensive, inconvenient, distant from the point of care, and disrupt clinical workflow. User feedback is valued. 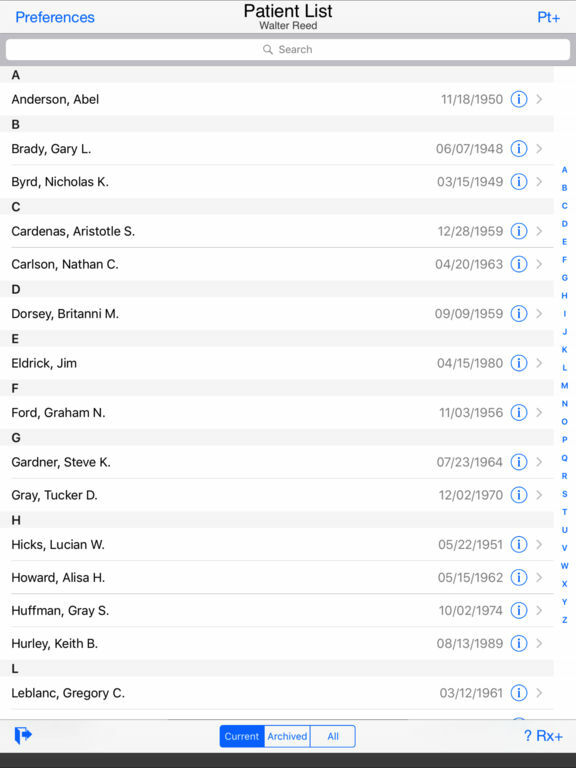 New features are added regularly. 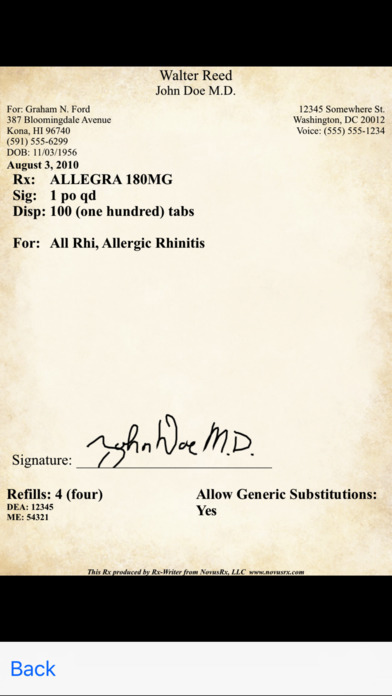 Rx-Writer will be “Meaningful Use" compliant. Internet access required for faxing.